Implant Supported Dentures | The most permanent solution to replacing missing teeth is a set of implant supported dentures. With this treatment, several dental implants, which are made of metal alloy posts, will be secured into your jawbone, and over time, they will fuse with the bone, giving very secure anchor points that can be used to stabilize your denture. This type of custom tooth restoration is the most secure, permanent, and natural feeling way to replace missing teeth. 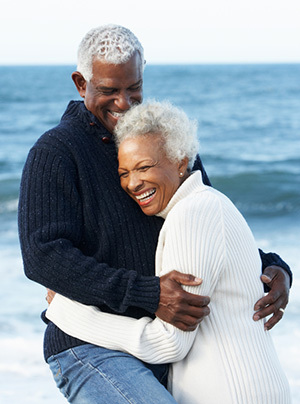 You can have the beautiful smile of your dreams again with implant supported dentures. Traditional Dentures | Traditional dentures are an outstanding option for replacing missing teeth. Traditional dentures are popular because they restore functionality and have a beautiful appearance. We custom-make each denture to ensure an excellent fit for each patient and to give each denture set a cosmetically beautiful, natural, appearance. Partial Dentures | If you are only missing a few teeth, partial dentures are an excellent option that will restore you smile. We offer custom-made partial dentures to match your natural teeth, and to give you back the functionality of eating, speaking, and smiling again. Partial dentures will restore your confidence in your smile. We are pleased to be able to offer several denture options to our patients who are missing multiple teeth. Our team at Wigwam Creek Dental is highly skilled, compassionate, and knowledgeable in giving you the care you deserve, while restoring your smile with dentures. Please call us with any questions regarding implant supported dentures, traditional dentures, or partial dentures. Call us today so that we can give you the smile of your dreams!